Your donations will expand Islamic educational services to Muslims all across the country! 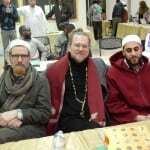 Lamppost Education Initiative (Lamppost) is a non-profit educational effort that prides itself on contextualizing and grounding the teachings of Islam in America while maintaining the integrity of its historical message. Our mission is to facilitate access to the unique intellectual contributions of a select number of Muslim American scholars, inspire spiritual and social transformation, and empower through education. 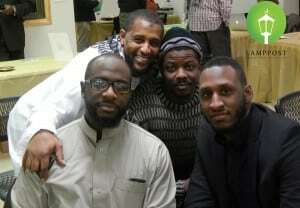 For years, Lamppost has provided a wide range of services and resources for the Islamic community in the west. We publish scholarly books and articles. We have provided Arabic to English translations of valuable scholarly Islamic works from our traditional ulama of the past and present. We conduct online classes that help working families, stay at home mothers and students. We conduct live detailed seminars on a host of subjects ranging from marriage, fiqh, spiritual development and more. At Lamppost, we have struggled to provide these services at the lowest possible cost. Despite the lack of significant financial resources, we have continually provided scholarships to needy Muslims for our online courses, numerous free live seminars, and a host of exclusive articles and videos all at no cost. During this blessed month of Ramadan please make it a point to support the Lamppost Education Initiative! There are several ways you can join the effort! 2. Join the Lamppost Team and become a monthly subscriber! This will enable you to get exclusive Lamppost videos and audios every month! Click HERE for more details! 3. Take one of our courses or seminars. Lamppost offers a number of online courses and seminars from our scholars. 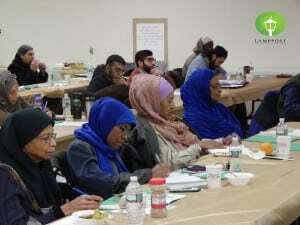 These courses cover a wide range of topics and essential issues for Muslims today. Click HERE for more details! 4. Be sure to get a copy of our latest publication-“Tears of the Yearners For the Meeting With God“. Click HERE for more details on this work!